What will your child discover? Campers will explore their inner and outer worlds, self-awareness, compassion, reflection, and appreciation for nature. They will journey through practices like breath-work, mindfulness, arts, journaling, crafting, nature and plant identification, games, and other creative avenues; gifting them with the ability to be in touch with their inherent spirit in any way that moves them. Campers do not want to miss this! We will have healthy snack crafts, yoga and mindfulness, active games, creek play & critter catching, and mini hikes with nature identification. Get your kids moving out in nature while they educate themselves about the natural world around them with Conscious Summer Explorers! Ages: 1st-5th graders- 6th & 7th graders welcome as Jr. Staffers- Discount will be applied, just send us a message. Conscious Summer Explorers’ Jade Green is a Certified Holistic Health Coach, Therapeutic Nutritional Counselor, and Herbalist. Daily, she leads our campers through a healthy snack craft and mini nutrition lesson. Campers get the recipe in their camp journals for healthy snack plans all year long! Roxanne Warner, Certified Holistic Health Coach, is an elementary school teacher and yoga instructor. She leads campers through kid-friendly yoga flows, including poses like frog and tree. They get to practice being mindful of their surroundings, practice breath work, calming exercises and more. 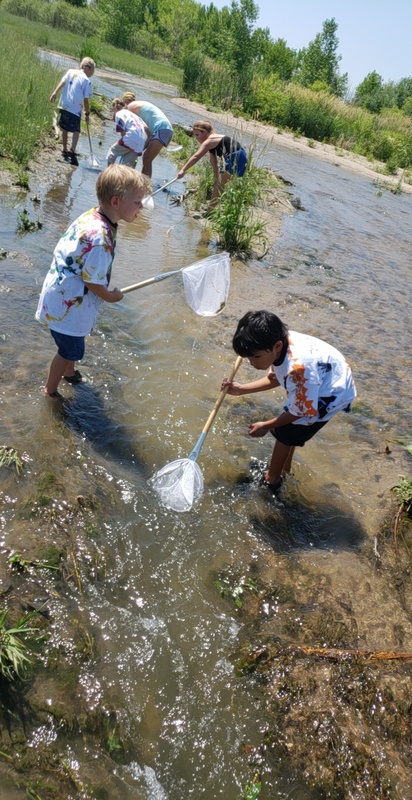 Campers get to identify microinvertibrates and other “critters like crawfish, frogs and more while playing in the creek. 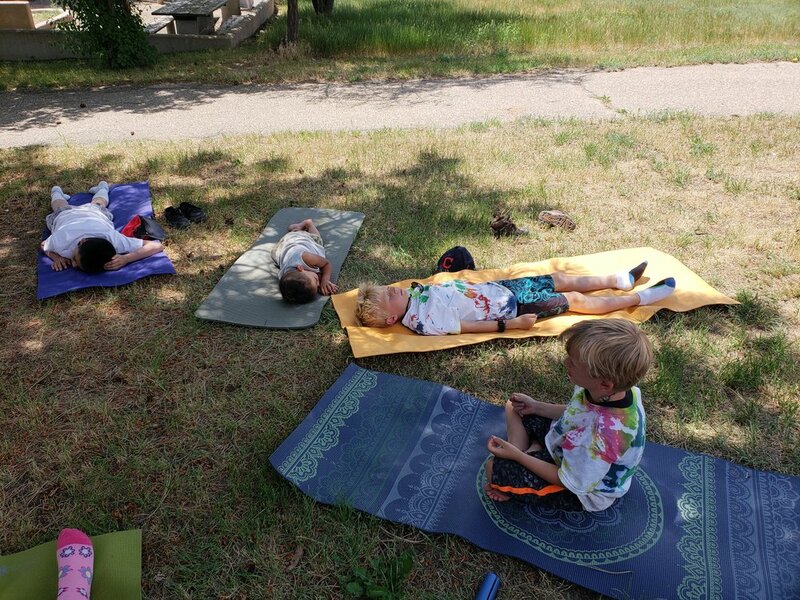 We engage them in nature hikes, stopping to play games, cool off in the creek, and have snack under the shade of Cherry Creek’s beautiful trees.